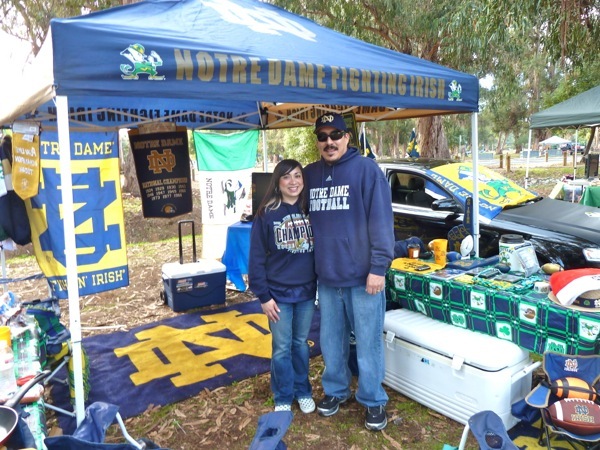 It was hours before game time but the Irish were already staking out their territory in the parking lots around Stanford Stadium in advance of this afternoon’s game against the Cardinal. On a route that took her from the far East side of campus to the far West, the Dawn Jogger stopped along the way to talk to some of the fans. 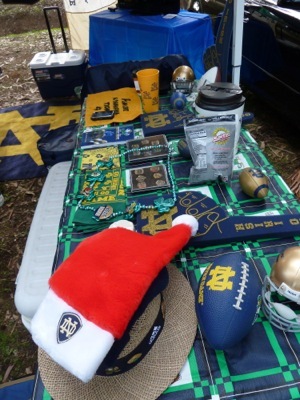 This entry was posted in Dawn jogging, On the road and tagged Notre Dame at Stanford. Bookmark the permalink.